When we began our Assuring Century2 Campaign in 2005, we set out to honor the legacy of our Founders and to assure the future of Sigma Alpha Mu. We established our campaign goal at $5 million in cash, pledges and planned gifts that would provide for funding of leadership development programs, purchase of a permanent home for Sigma Alpha Mu and growth of our scholarship program. 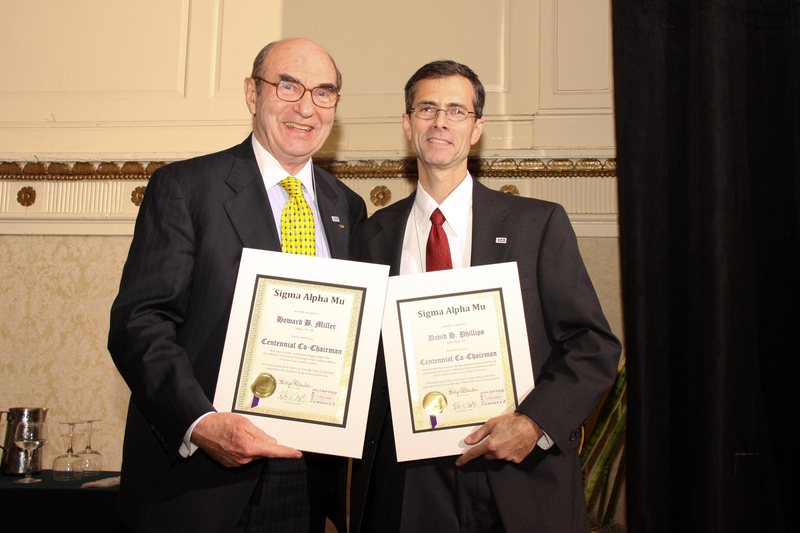 We received outstanding support from loyal fratres and friends of Sigma Alpha Mu. We are pleased to report that we have surpassed $5,000,000 raised! The important mission of the Sigma Alpha Mu Foundation remains intact today because of support from many fratres and friends of Sigma Alpha Mu. It is the mission of the Sigma Alpha Mu Foundation to support the educational interests and activities of Sigma Alpha Mu Fraternity, to furnish student aid, and to encourage and develop conduct and traits of character consistent with high morals, constructive citizenship, scholarship, leadership and community service. Thank you again for your leadership and helping launch Sigma Alpha Mu’s second century! We have surpassed our goal of $5,000,000!